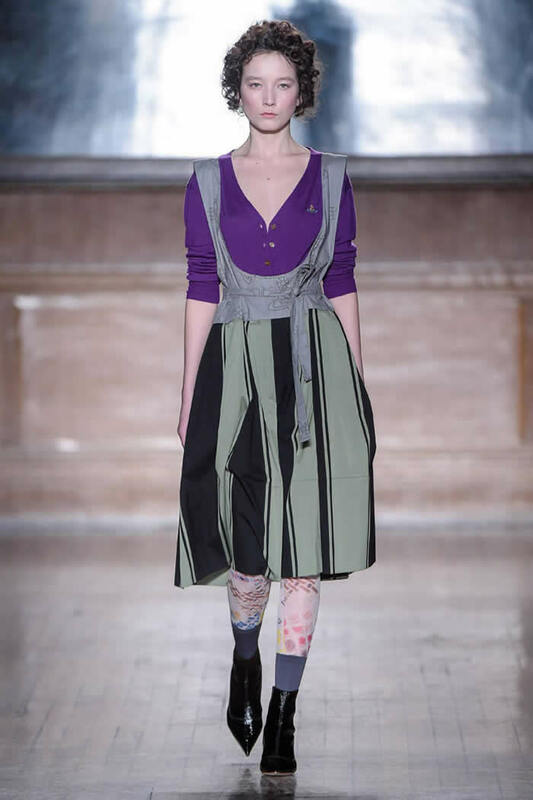 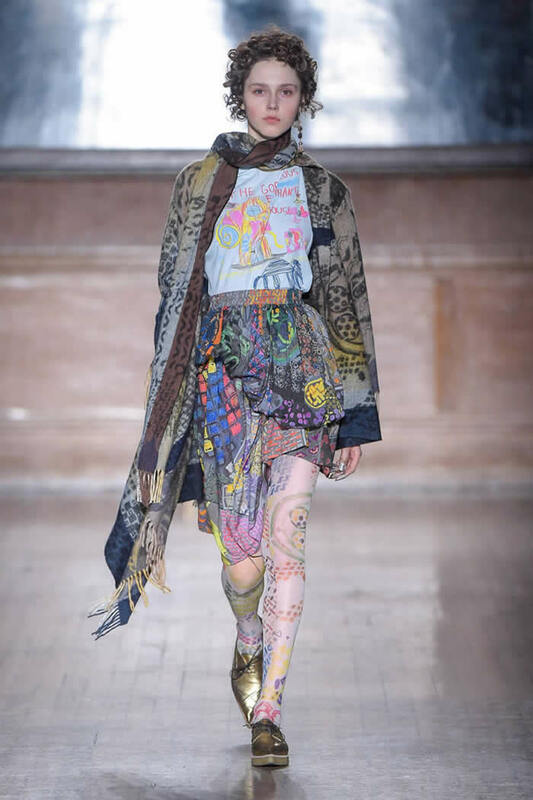 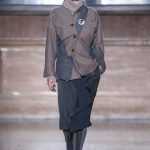 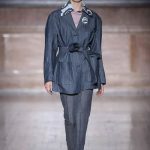 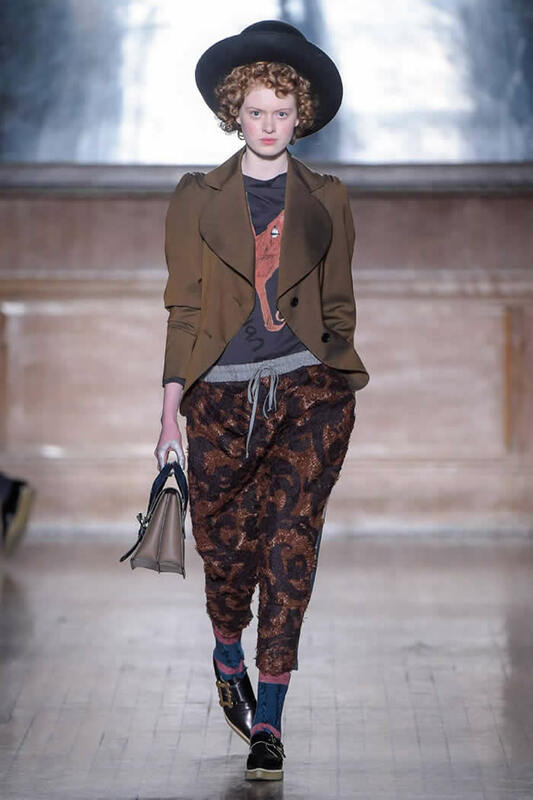 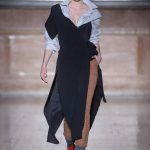 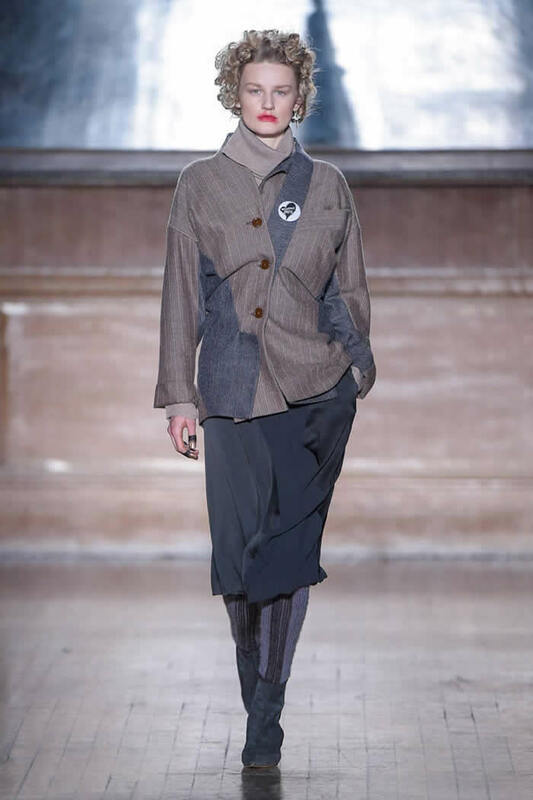 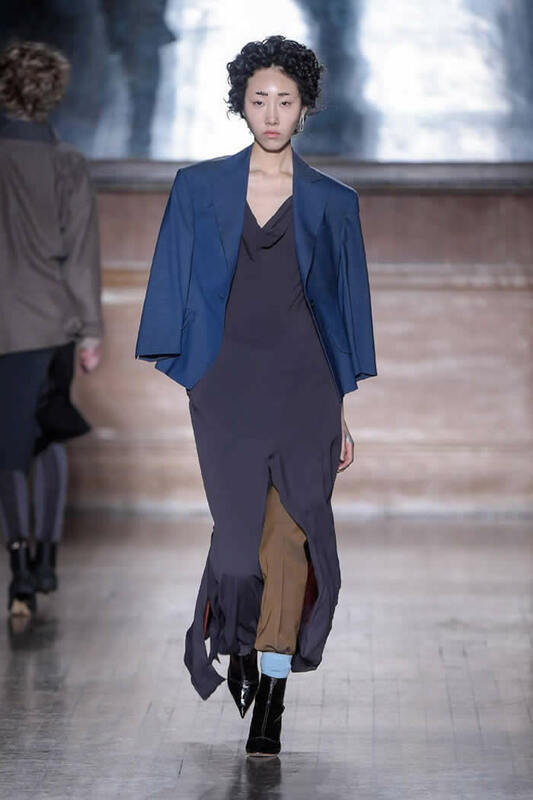 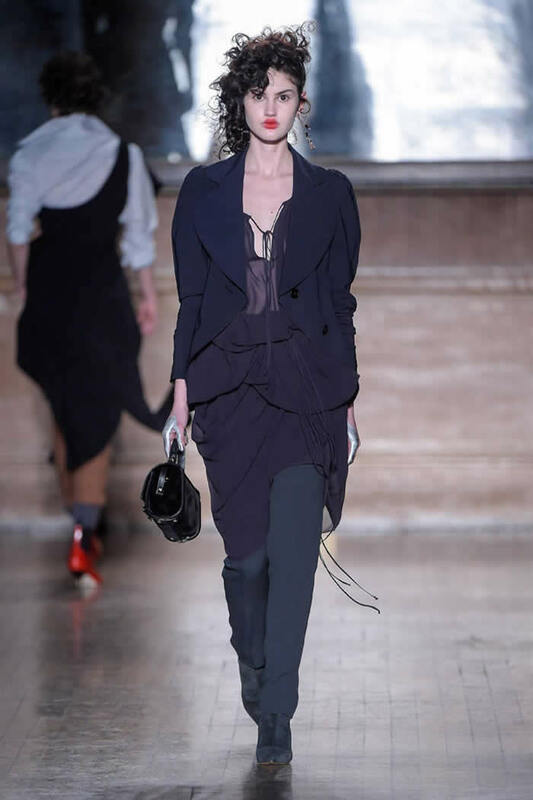 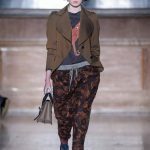 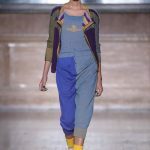 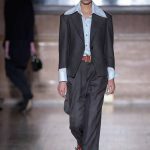 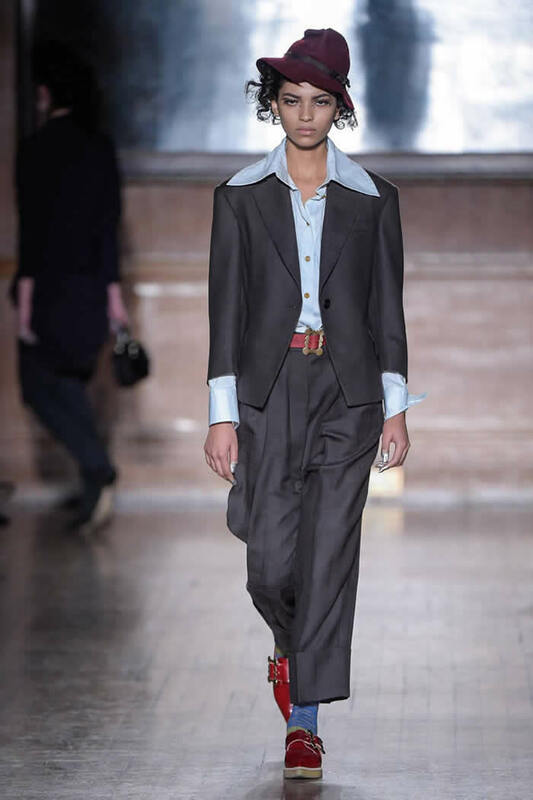 Vivienne Westwood based her fall collection — the first since dropping the “Red Label” suffix — around the work of two renaissance artists: Donatello and El Greco. 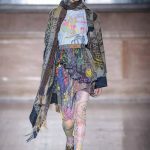 The fluid draping seen in Donatello’s marble sculptures informed many of the silhouettes and flouncing details, while the rich colors employed by El Greco were behind the palette that stretched from earthy greens and khakis to deep blues, pretty pinks and soft grays. 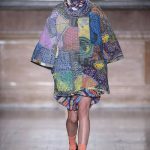 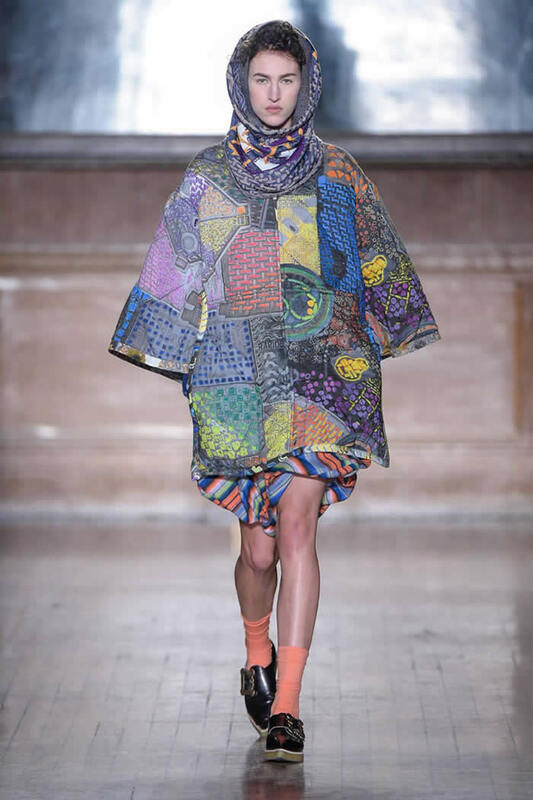 Her print offering was an abstract take on manhole covers inspired by armor. 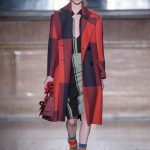 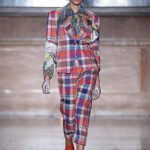 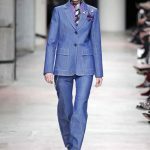 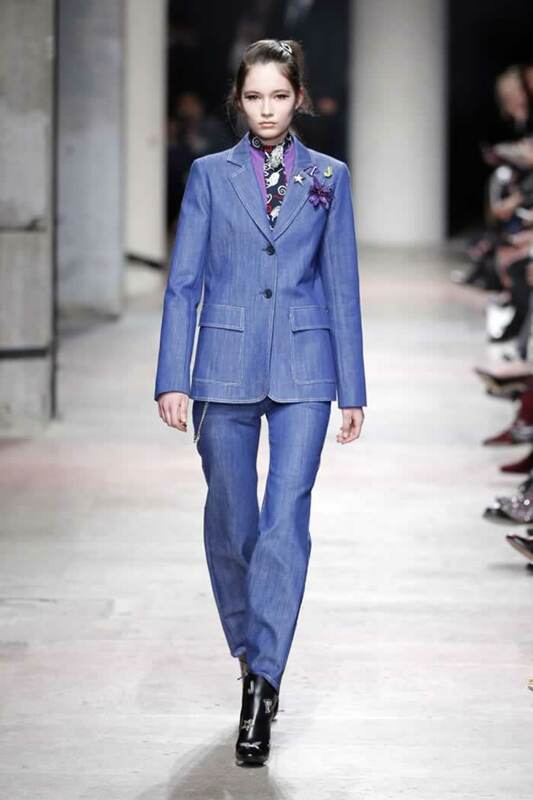 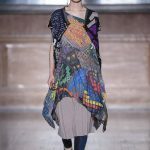 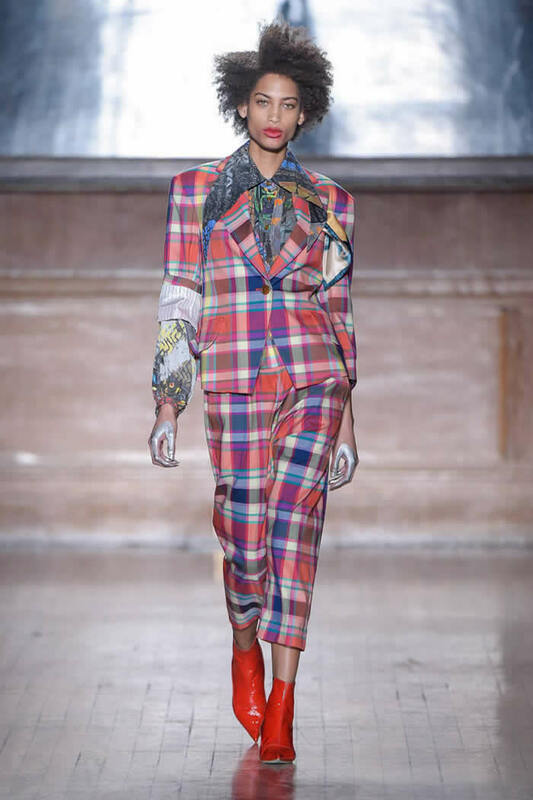 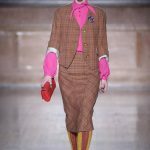 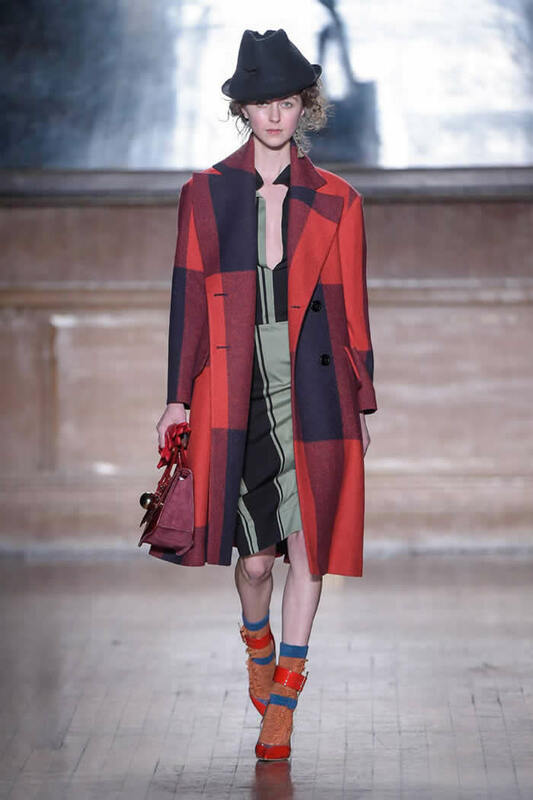 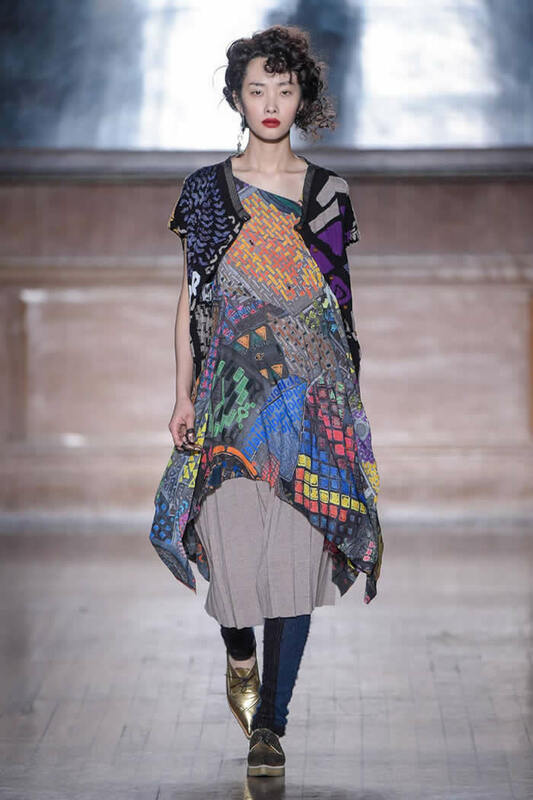 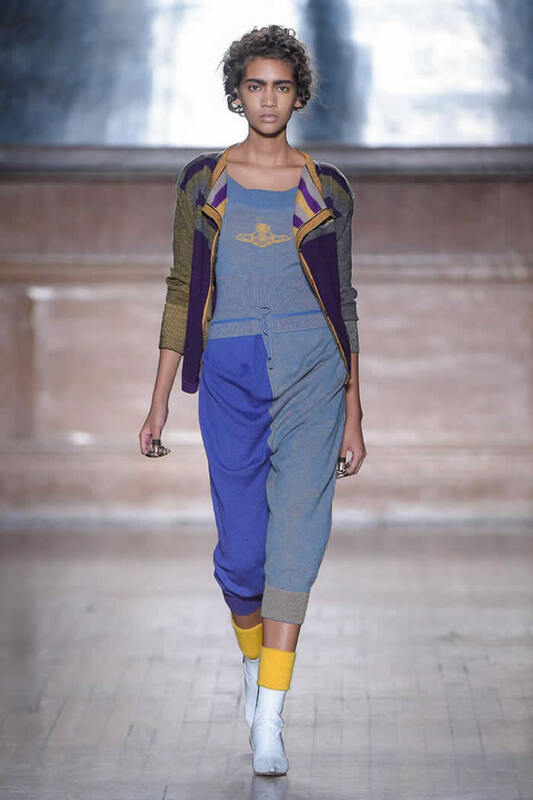 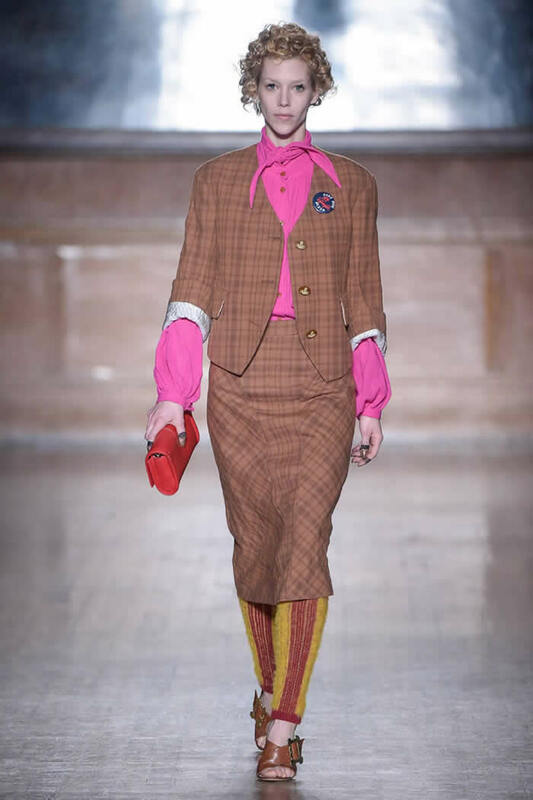 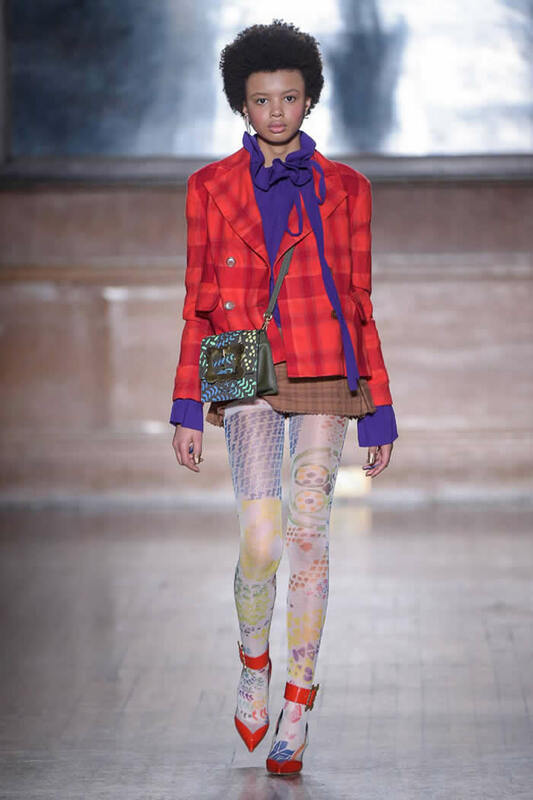 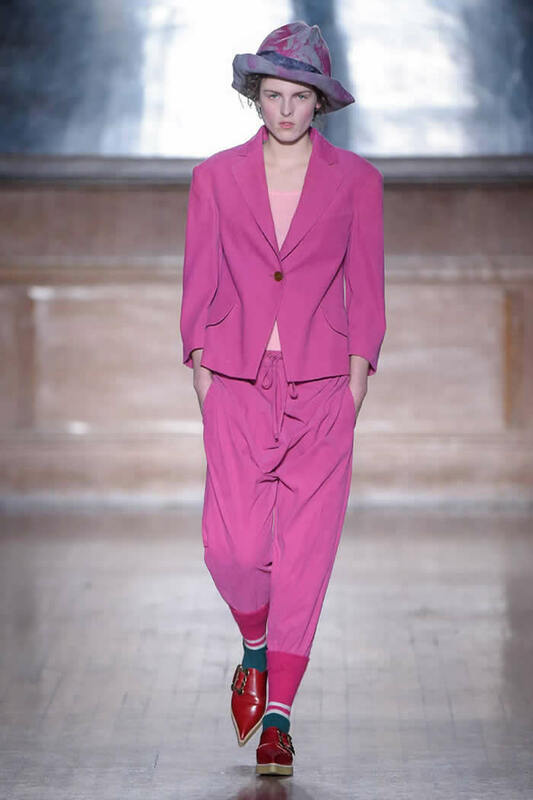 In wildly colorful patchwork squares in a padded coat worn over a similarly printed silk sheath of a dress, or on a delicate silk blouse under a lurid check pantsuit, it provided a bright and zany break from Westwood’s intellectually crafted lineup. 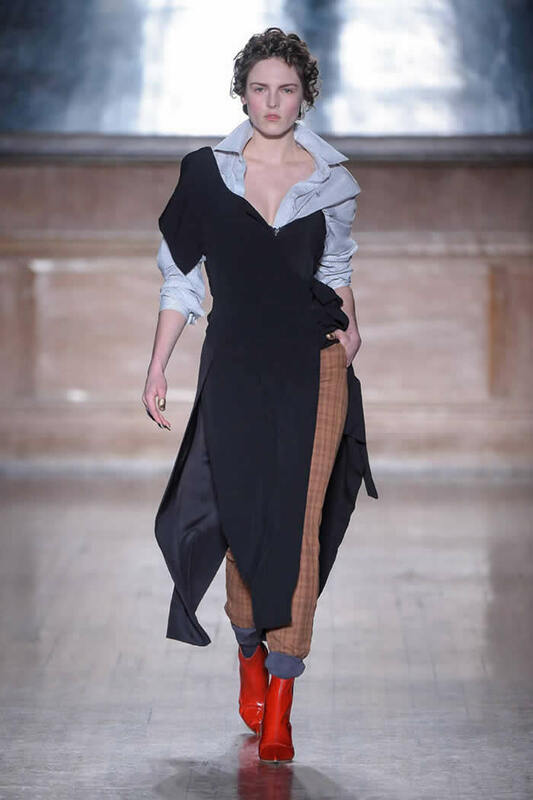 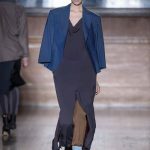 Highlights included a nicely layered look with a navy broad-shouldered blazer worn over a gathered red silk top and a gray pencil skirt, which opened up the front of the leg to reveal a little striped skirt underneath. 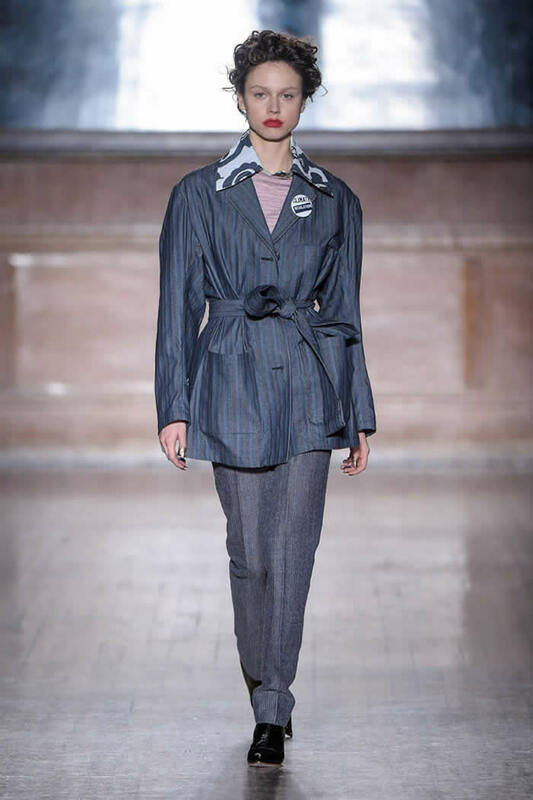 Another winning ensemble saw a matching pantsuit of sage green and black stripes worn with a peasant blouse and a wool coat in pale olive and taupe stripes.